One of the greatest moments in recent Georgia Tech football history involved a kick that didn’t even win the game. It came on Nov. 9, 2014, when then second-year hoofer Harrison Butker booted a field goal that would forever mint his legacy with the Yellow Jackets. On that day, Butker used his powerful leg to drive a football through the uprights for a 53-yard score against bitter rival Georgia, and sent a game most Tech faithful thought to be lost to overtime. Tech went on to win the game 30-24. Jackets players pruned the hedges. And Butker became Tech royalty. 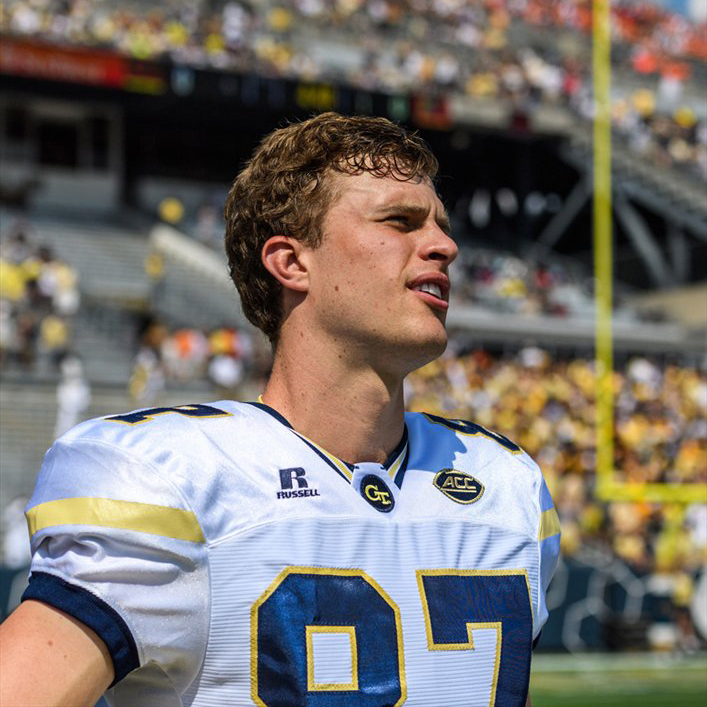 By the time he played his final season for the Yellow Jackets in 2016, Butker had become Georgia Tech’s all-time leading scorer with 337 career points. In his final game, he went 4-for-4 in field goals—including a 52-yarder in Tech’s TaxSlayer Bowl win over Kentucky. Butker’s college career definitely earned him a chance to compete in the NFL. He started out with the Carolina Panthers, competing against long-time pro Graham Gano. Gano kind of took Butker under his wing, to which Butker partially attributes his success in his pro rookie season. 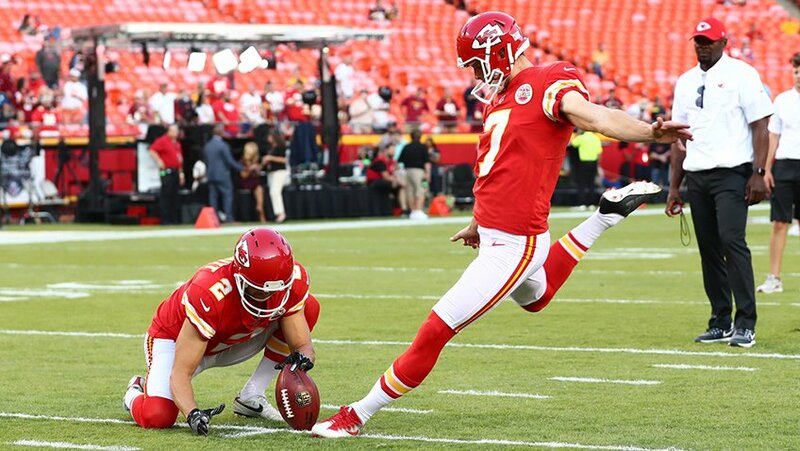 The Panthers eventually cut Butker from the team, and he was picked up by the Kansas City Chiefs, where he had a stellar first year.